Preti Flaherty attorney Greg Hansel has been appointed to the Antitrust & Trade Regulation Law Certification Committee by Florida Bar President-Elect Michael J. Higer. The Florida Certification Plan is a resource to help the public identify lawyers who have met established standards in particular practice areas and who are committed to excellence and professionalism in the practice of law. The Antitrust & Trade Regulation Law Certification Committee is one of several committees that provide oversight of the program, responsible for reviewing applicant qualifications and administering examinations for certification in the field of antitrust and trade regulation. 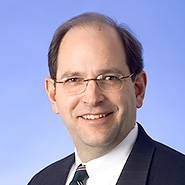 Greg is recognized nationally as a trial lawyer in complex business litigation. He has won victories for defendants and plaintiffs in some of Maine's largest cases and maintains a national and international litigation practice. He frequently advises overseas clients on U.S. legal matters. He is listed in Woodward/White's The Best Lawyers in America, which named him 2017 and 2015 "Lawyer of the Year" for Mass Tort Litigation/Class Actions - Defendants.